As computer technology has advanced, artificial intelligence has become more reliable, enhancing its standing within the business world. Indeed, hospitality companies are increasingly using AI to carry out customer service tasks, which are especially important within hotels and resorts. 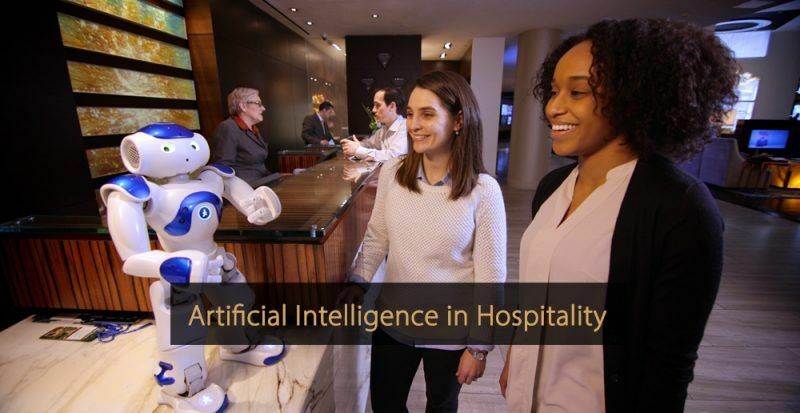 In this article, you get a closer look in which way artificial intelligence is revolutionising the hospitality industry. Artificial intelligence, or AI, refers to the performance of seemingly intelligent behaviours by computers or machines. Artificial intelligence, as a concept, has existed since the 1950s, but it is only in recent times that technology has advanced to the point where it can be considered reliable enough to deploy for important business tasks. Essentially, AI refers to computers or machines carrying out tasks that were traditionally thought to require cognitive function to carry out. It is associated with concepts like automation and big data. Today, the collection of customer data, combined with the improvements to computer technology, mean that artificial intelligence can be utilised for a huge range of functions, from basic customer service, to personalisation tasks, more advanced problem-solving, and even for sales processes and direct messaging. Why is Artificial Intelligence Becoming Important in the Hospitality Industry? Artificial intelligence is playing an increasingly important role in the hospitality industry, primarily because of its ability to carry out traditionally human functions at any time of the day. This potentially means that hotel owners can save significant money, eliminate human error and deliver superior service. In particular, customer service is a vital part of the travel industry, with hotels often living and dying based on the way they treat their customers. With artificial intelligence, the possibilities for improving this aspect are almost endless, ranging from increased personalisation to tailored recommendations. One of the key customer service challenges for hotels is responding to customer questions quickly and artificial intelligence now provides an additional option for tackling this problem. Moreover, it has the capacity to assist with tasks like data analysis and, through data collection, can effectively “learn” and adapt to customer interactions. Perhaps the most obvious way artificial intelligence can be deployed by those within the hospitality sector is for front-facing customer service. In particular, the technology has been shown to be extremely effective when it comes to direct messaging and online chat services, responding to simple questions or requests. For example, AI chatbots have been utilised on social media platforms, allowing customers to ask questions and get almost instantaneous responses, 24 hours a day, seven days a week. This is invaluable to hotels, because it provides the type of response times that are almost impossible to maintain with human-to-human interaction. Example: Sam, intelligent travel chatbot! Another wayin which AI is being utilised within the hotel industry away from pure customer service is in data analysis. In this capacity, the technology can be used to quickly sort through large amounts of data and draw important conclusions about customers, or potential customers. An example of this has been seen with the Dorchester Collection hotel chain, which has made use of the Metis AI platform. By using this technology, the company has been able to sort through data collected via surveys, online reviews etc. and the AI has been able to then analyse this to draw conclusions about overall performance. Would you like to learn more about other digital technologies which can benefit your business? Have also a look at the articles “How Virtual Reality can Enrich the Hospitality Industry” and “How Augmented Reality is Transforming the Hospitality Industry”.